Sold under the trade name of Nolvadex, Tamoxifen is an anti-carcinogenic drug that acts against cancer. In simple words, some cancerous cells grow on estrogen. The cancerous cells have estrogen receptors that get attached to estrogen and multiply the growth of cancerous cells. 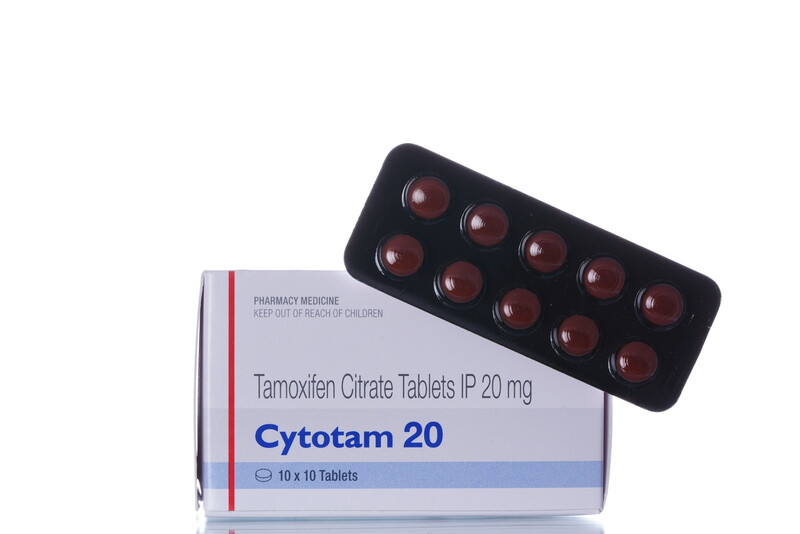 What Tamoxifen does is, with its ability to attach to estrogen without activating it, gets attached to the estrogen and prevents the cancerous cells from binding with the estrogen and multiplying the cancerous cells. It is usually used in treating breast cancer and is known for its effectiveness on cancerous cells that have spread throughout the body. The drug, apart from being prescribed to people suffering from breast cancer, is also prescribed for reducing the chances of developing breast cancer for women who are exposed to a high risk of developing it. For instance, women whose family members have been diagnosed with breast cancer can take this drug to reduce the risk of developing the disease. The effectiveness of this was put forth by a study that was carried for over 5 years on about 1500 women. The study showed that the intake of Tamoxifen reduced the chances of development of breast cancer in women by about 44 percent. This effective drug for breast cancer is also used to treat ailments relating to others and not to breast cancer. Classified by FDA under the D category of medications, you should not intake Tamoxifen if you are pregnant. If you are pregnant and have consumed this medicine, the aftereffects can prove harmful for the baby. In case you are using any birth control while taking this medication, use contraceptions like condoms, spermicide or diaphragm, and continue using this form of contraceptions for at least the next two months after you have stopped the intake of this drug. Besides this, it is also suggested that you take up a pregnancy test before you start taking Tamoxifen. If you are someone who suspects you are under a threat of developing breast cancer because some of your family members were diagnosed and treated with breast cancer and intends to use Tamoxifen as a preventive source for breast cancer, make sure you start the medication during your menstrual period. This is a general practice, as far as the intake of this medicine in such cases is concerned. However, it is good to have it confirmed and consulted with a doctor or a physical practitioner before taking up the medicine. Before you start with the medication, you should notify your doctor regarding whatever medicines or drugs that you are taking currently. One of the major reasons for this is because there are a number of medicines that react with Tamoxifen and interfere with its working. Some of the drugs that interfere with its working include clozapine, isoniazid, ropinirole, some of the anti-malarial drugs like pyrimethamine, quinine, chloroquine and some anti-biotic as well. Apart from this, there may be also some drugs that can possibly interact with Tamoxifen. Hence, it is always better to consult with the doctor before you start with the medication. ∗ you are allergic (hypersensitive) to tamoxifen or any other ingredients.∗ you are pregnant or breast feeding. ∗ you are taking anastrozole to treat breast cancer.